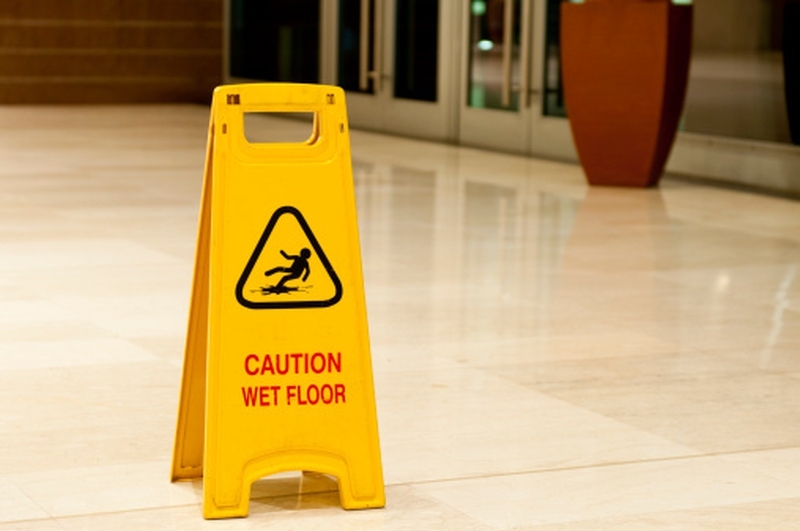 Did you know that 50% of accidents in the workplace are caused by slippery floors? According to HSP Supply, Inc., $11 billion is spent every year in money given out for injuries related to slips and falls. The average cost from a slip and fall is $22,000 per accident. That’s quite an insurance hazard! Imagine all that money that can be saved if you take preventative measures! A person prevents slippery floors within the home by cleaning regularly, establishing house rules or using different products to encourage proper traction. When every person in the environment helps to maintain floors properly, the risks of slipping and falling are greatly minimized. Wet floors must be taken care of quickly to avoid accidents. Normal changes in temperature result in rain and snow, which lead to slippery flooring. One can use a dry mop to absorb wet substances from the floor. Commanding that every person removes his shoes before entering the home helps reduce debris buildup and other grimy elements off of the floor. Using a floor treatment roughens the surface of the floor to reduce slipperiness. In places where the floor is incredibly slick, one can place areas rugs to provide greater traction. Anti-skid tape is useful in an industrial zone. Avoiding falls that can lead to severe injury or death is especially important. Preventing spills is crucial to reduce the chance for slick situations. Some types of shoes are more prone to gliding across different types of flooring and make walking an unstable experience. Using an inappropriate cleaning treatment creates a sleeker surface. In severe cases, completely stripping floors and replacing old materials is necessary. Server responsed at: 04/24/2019 6:10 p.m.